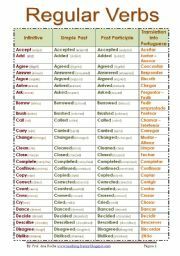 This is a list of regular verbs which I´ve prepared thinking of Portuguese learners. I hope the Portuguese and Brasilian teachers will find this useful! 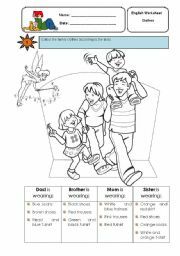 This is a reading compreension worksheet about clothes. I decided to use "Hanna Montana" in my text so that it catches the attention of my students! 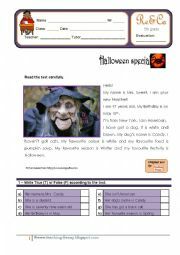 This worksheet is part of my Autumn project for the 1st graders. The objective is that the kids paste some real autumn leaves Where they "read" the word "Leaf". You can also prepare some paper leaves for them to cut out and paste. 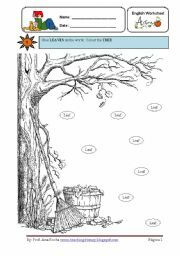 This is a worksheet that focus mostly on reading. The text was written by me so if there´s any mistake or something that could be better please report it to me and I´ll change it right away! In this WS, students have to read (or listen to) the instructions and colour the clothes according to them. This is a short WS to practise reading and the simple present. 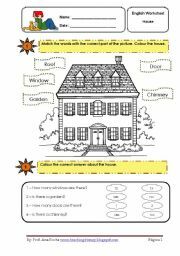 This is a very easy worksheet that focus on some words abou the house. This is a test I´ve created last year to my students. It is very easy but great for the first stages of english learning.